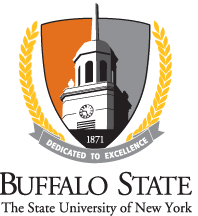 Email: Weigel@buffalostate.edu Use this email for non-emergency messages. If the information is of an urgent nature, please contact University Police at 716-878-6333. We are located on Academic Drive next to Chase Hall and the Campus Police Station (F6 on the map). Click here to find us. Police, fire, ambulance: 911 when in the community. Call University police for emergencies on campus.